Based in Brisbane, BeLoved's beautiful flowers are one of the most incredible gifts you can give. Our flowers are tailored to your choice. You can choose the flowers you want in your bouquet. 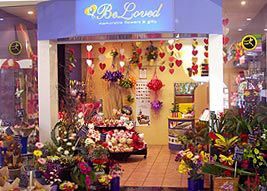 BeLoved is a totally new way to buy flowers and potted plants. Our store is warm, inviting and fun with large selection of the freshest flowers and plants, you'll feel like you're walking through a garden. 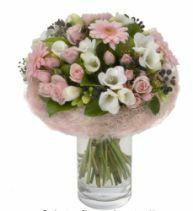 Our combination of quality flowers, attractive prices and easily accessible locations, with knowledgeable and friendly service is a winner. Visit our official website to know more about our products and services. It is important to us that we offer convenience. We open early and close late, offering customers an added layer of convenience that is not found elsewhere. Most importantly, we get our flowers and plants direct from the growers, so our flowers are fresher, our quality higher and our prices - fantastic. At BeLoved, we believe flowers should be enjoyed everyday, not just on special occasions. Our aim is to inspire you with the most exciting varieties of the freshest, highest quality flowers at the best prices. Good bouquets release aromas that flood your body with 'feel good' hormones, while the profound natural beauty of each bloom overwhelms the visual senses. Your arrangement then lives and grows each day, providinga constantly changing kaleidoscope, that represents your everlasting love, or sympathy or best wishes. We also make up special baby hampers to order.